If you were wondering how to watch The Walking Dead without cable, you’ve come to the right place. If zombies aren’t quite your thing, maybe you want to watch Better Call Saul without having to pay for an expensive cable bill. Regardless of which AMC show you want, you can watch all of them for far less than a cable subscription. Cord cutting is becoming more popular every year and more ways to watch AMC without cable are popping up. This article will outline some of the cheapest ways to do so to help you make the right decision. Unfortunately, it is not possible to watch AMC for free with an antenna. However, that doesn’t mean there aren’t other legal ways to watch AMC without cable. Lots of different streaming services offer AMC as part of their channel lineup. These services are similar to Netflix or Hulu, but offer live TV instead of only on-demand content. They don’t typically require a contract, cost far less than traditional cable, and allow for much more customization than cable packages. Streaming services run through your internet rather than a coaxial cable like an antenna or traditional cable. This means that even though you can disable your cable, you’ll still be stuck with a cable provider for internet. However, many service providers offer much faster internet for a lot cheaper than you can get with a bundled deal. We’ve written a comprehensive guide on how to get cheap internet that will show you how to find the different internet offerings in your area. In addition to an internet connection, each streaming service will require some kind of hardware to run it. You can watch these streaming services on a desktop or a Mac, but you’ll need an external device to stream it onto your TV. You may be able to run it on your TV if it’s a Smart TV, but not every Smart TV supports every service. It can get kind of confusing, but we’ll make sure to list each compatible device after the outline of each service. A good baseline streaming device is a Roku. They are a huge name in cord cutting and offer multiple different versions at a variety of prices. 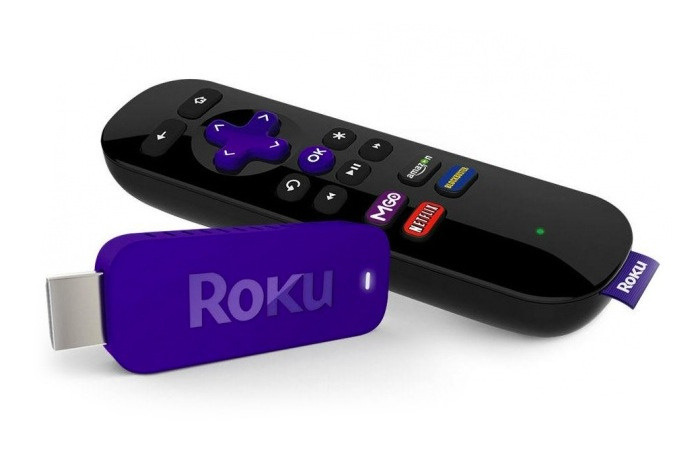 Most streaming services are supported by Roku, so it’s typically a safe bet for a first time cord cutter. Roku devices are also really high quality and aren’t overly expensive. Typically, Roku’s devices are what we suggest to most cord cutters, unless you’re looking for something specific. Philo TV is a relative newcomer to the streaming world. Realizing that sports are one of the major expenses for streaming services, Philo decided to forego them completely and offer an incredibly inexpensive streaming option. Their smallest package is called Philo 37 Channels, costs only $16 a month, and comes with exactly what the name implies; 37 channels. Although you won’t get ESPN or Fox Sports, Philo TV’s package includes a lot of other really popular cable channels. The image below shows the current 37 channels you’ll receive. In addition to not offering sports networks, Philo lacks any type of local stations. If you’re looking to watch CBS, ABC, or any other local station without cable, you’ll likely need to add an antenna to your cord cutting options. Indoor antennas are a cheap one time investment that will allow you to pick up free cable stations broadcast over the air. If you’re looking for an antenna, check out our guide on how to get free cable TV with an antenna to point you in the right direction. Antennas can seem quite confusing at first, but they’re actually surprisingly easy to figure out and even easier to install. For example, if you want to watch ABC as well as AMC without cable, your two cheapest options are Philo TV with an antenna or Sling TV without one. Sling TV’s package costs $20 a month and comes with both AMC and ABC. However, if you buy our recommended indoor antenna (1ByOne Indoor Antenna on Amazon) you’ll have an initial cost of $25 for your first month of cord cutting, but start saving money after your 6th month. You’ll also get additional channels through the antenna that Sling doesn’t include in their $20 package like CBS. 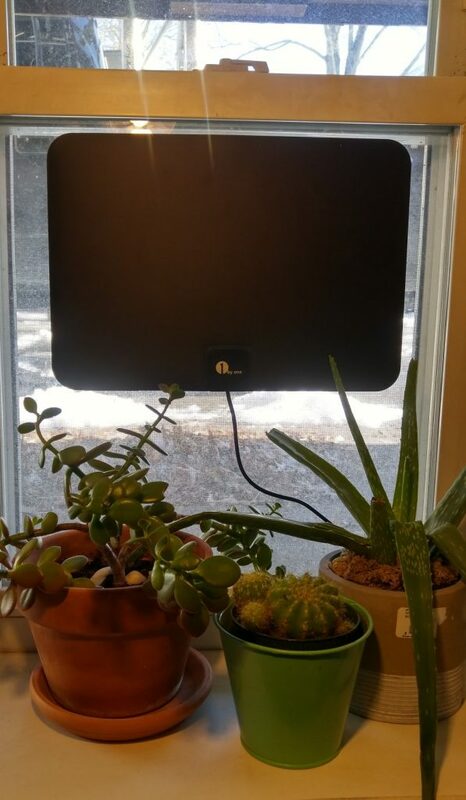 An antenna can quickly pay for itself if it supports content you want to watch. 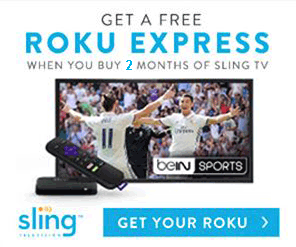 Sling TV is one of the biggest names in streaming. They’re one of the cheapest and most customizable options that aims to turn cord cutting into a true “al la carte” experience. It’s not “al la carte” to the point that you can pay per channel, but their small and cheap package offerings allow for a lot of personalizing the service. You’ll need to get one of their “core” packages before you can get any add-on packages, but lucky for us AMC isn’t an add-on. Their smallest “core” package, Sling Orange, is slightly more expensive than Philo TV, but includes both sports and local stations. The Sling Orange package costs $20 a month and comes with over 40 channels. The table below shows the current channel options for our Boston office. Due to the local availability of certain stations, make sure you check out Sling TV’s channel lineup page before you order to make sure you know what you’re getting. The $4 a month premium you pay for Sling TV over Philo is well worth it for the access you get to other channels. Their variety of add-on packages including additional kids programming, sports channels, and premium channels like HBO or Showtime can really help reduce the drastic change from traditional cable. Be aware that adding on too many of these $5-$10 packages can make Sling TV more expensive than something like DirecTV or PlayStation Vue, but it’s very easy to add or remove them as your content preferences change. The name DirecTV Now can be a little confusing. Although the names are similar, it’s quite a bit different than AT&T’s satellite service DirecTV. DirecTV requires both a contract and hardware installation to watch TV through satellite. With the success of Sling TV and other competitors, AT&T launched their own non-contract streaming service and called it DirecTV Now. It runs on streaming devices that you can purchase like a Roku, comes with no contract, and has a variety of sized packages to choose from. To watch AMC on DirecTV Now, you only need to purchase their smallest package. DirecTV Now Live a Little costs $35 a month and comes with over 70 channels. To view a current channel line up for your location to make sure you have the correct local stations, make sure to check out DirecTV Now’s channel lineup page. The table below shows the channels available at our Boston office. At $35 a month, DirecTV Now is quite a bit more expensive than both Sling TV and Philo TV. However, you do get almost twice as many channels. If you add a couple add-on packages to either of the other services and build a comparable channel lineup to DirecTV Now, it usually ends up more expensive and with less channels. DirecTV Now has one of the best channel per dollar ratios in the industry and we’re constantly impressed with the service. One issue with DirecTV Now that we’re hoping is resolved sometime this year is their lack of DVR. 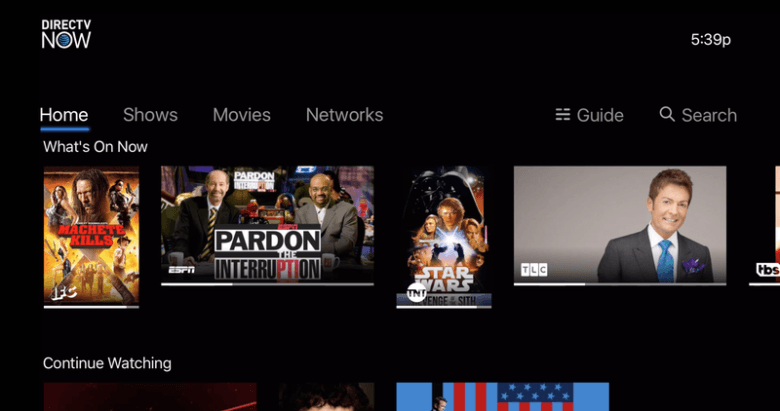 Sling TV offers cloud DVR at $5 a month and Philo TV offers it for free. DirecTV Now doesn’t have any DVR available at the moment, but they’ve said they plan to add it sometime in early 2018. 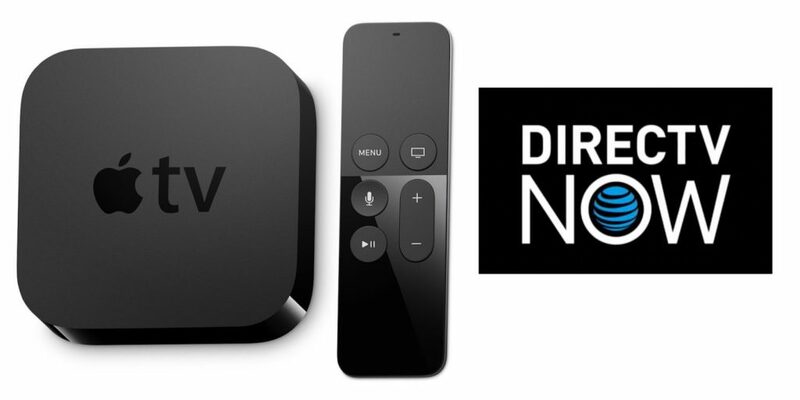 If DVRing TV is important to you, it might be better to hold off on DirecTV Now until they make a formal announcement.